1. 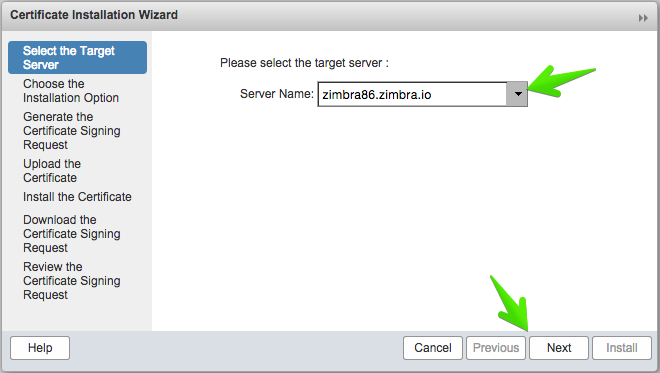 Login to your Zimbra Admin Console using a browser. 2. In the left navigation pane under Home click Configure. Click Certificate. 3. 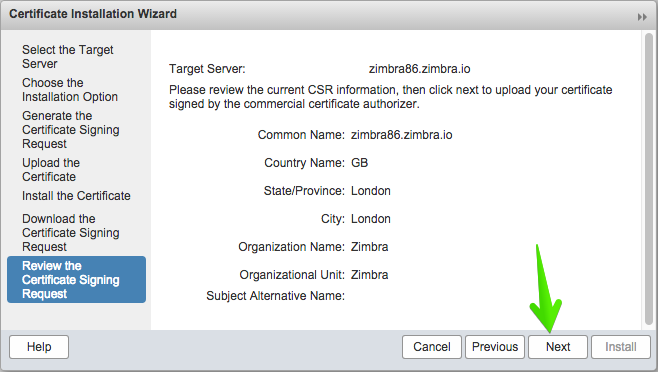 On the right of the Zimbra Admin console click on the settings icon and select Install Certificate. 4. 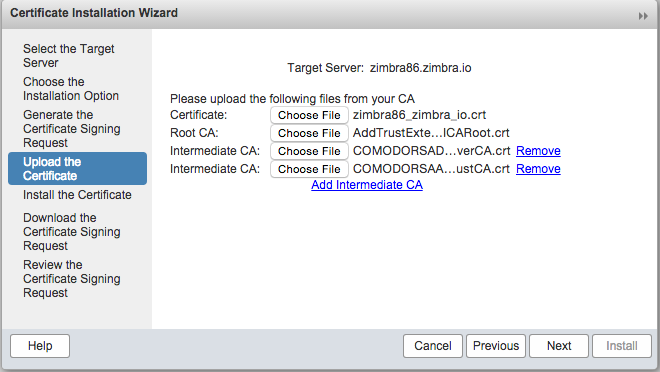 The Certificate Installation Wizard will pop up. 6. Select the option Install the commercial signed certificate. Click Next. 9. After uploading the files, click 'Install'. 10. 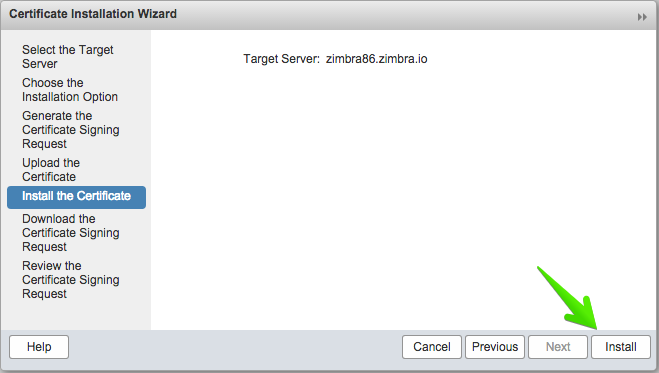 Restart the Zimbra services. Finally, you can return to the Admin Console and View the installed Certificate. 1. Your certificate ZIP file will be sent by email. The certificate ZIP is included as an attachment and certificate file is also imbedded in the body of the email. Note: If you are using notepad, then click "Save as" and in the save location window, choose 'save as' type as "ALL files" and give the file name as commercial_ca.crt.